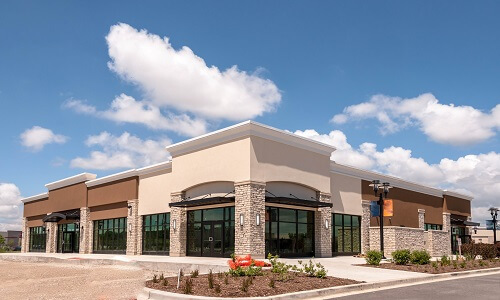 Commercial construction near Rosemont: Despite downturns in the economy, it seems many entrepreneurs are still looking to open new businesses and create more jobs and many existing companies are looking to renovate or upgrade their properties. You may never find that perfect property already suited to your specific needs, but Monster Contractor commercial construction is helping Rosemont business owners by providing quality commercial construction solutions. Now your business can have a new or revitalized commercial building or office tailored to your needs. Let’s look at the type of work our clients have come to expect from Monster Contractor when it comes to commercial construction: We know that the right commercial building can earn your company really great profits. If it is located at a central hub, retailers will be ready to pay you anything for shop space, providing they can customize it to suit their business needs. Hiring architects and construction crews and keeping track of everything is a very tedious task that you as the commercial building owner, have neither the time nor the experience to manage. Our experience at construction project management and our connections to seasoned and vetted subcontractors make us the perfect choice to oversee any of your commercial building or tenant improvements. Our commercial construction and management experts will guide you through the permit and compliance requirements for your commercial construction project and will rely on the best architects in Rosemont, CA. We will assist you in creating the perfect design that is within your budget while still meeting your or your tenant’s needs. If your commercial project does not need our architectural partners, our construction manager will step in to manage the next phases of your project. Monster Contractor is known for providing the best services for commercial construction management in Rosemont. We have a long history in the field in both construction and management. The main aim of our team is to satisfy each customer’s commercial building or tenant improvement needs. We will do everything we can to fulfill your demands at a reasonable cost. One of the main challenges in constructing or renovating a commercial building is complying with the latest city and state requirements. Some companies cut corners by overlooking the regulations and requirements for compliance and permits, set by local government. In many cases, the city will stop construction work and seal the commercial building until open violations are resolved. This can result in a big loss of your time and money. Monster Contractor prides itself on being a responsible and ethical company that will always act in balance with local laws and your best interest so that you will not suffer economic loss, but rather that we may continue our mutually beneficial working relationship with you for years to come. We take very good care of all our tools and equipment. We also take good care of our employees by taking all the necessary precautions in the field and by holding weekly safety training meetings. We are proud of our track record for not having any avoidable accidents while working on any phase of commercial building and renovating. We only use the best employees and Rosemont sub-contractors for our commercial projects. We rent all necessary machinery locally and source as many materials as possible from local merchants as well. As our customer, you can relax comfortably knowing our Rosemont commercial construction and management services are meeting your high standards. Why should you hire us? Well, we are reliable contractors who have been working for years in residential and commercial construction in Rosemont. We are careful to complete each and every assigned task on a work order in an efficient and systematic way. We do not believe in ethical shortcuts or in using questionable materials or methods. We know that we can complete your commercial construction or tenant improvement project in a timely manner. Our management team assigns our workforce crews in best ways possible. Many great business owners agree that time is money and reducing the amount of time during the construction phase so you can get a tenant into that retail space means we’re saving you money. Monster Commercial Construction of Rosemont has the experience to manage your commercial construction project within budget, and that experience is something other clients have relied on to make sure their projects were also within budget and on time. Many business owners and tenants attempt to hire the cheapest construction manager or even subcontract the individuals they need themselves, and often this causes huge headaches resulting in unoccupied spaces, lost revenues, and sub-par work. Monster commercial construction and project management will only supply workers in Rosemont who are reliable and vetted. After all, our reputation is on the line. Of course, commercial construction does not always mean sweeping changes to an entire commercial building. Monster Commercial Construction of Rosemont is also capable of undertaking small renovation projects, including bathroom and electrical upgrades, installation of security cameras, and relocation of wall partitions or other single warehouse or retail space improvements. Monster Contractor is able to work within most budgets and expectations to help you realize your vision for your individual space. Hiring Monster Contractor for your commercial construction project in Rosemont is the best way to succeed at quickly returning to full productivity for your tenants. It is a far better solution to any attempt at tackling the project yourself and eventually costing substantially more time and money. Looking for a Commercial Contractor Rosemont CA who can take up your commercial project or construction assignment? Are you planning to renovate or upgrade the property which you have for your business? We are glad to introduce us as Best Commercial Contractors Rosemont on which you can surely bank to get quality Commercial Contractor service Rosemont. We are serving the industry for many years and well aware of the expectations of the customers when it comes to getting services of Rosemont Commercial Contractor. If you are planning to handle the construction work all alone then you can do that for sure. But the level of harassment which you need to face at the time of hiring architects, construction workers and arranging raw materials will keep you completely occupied. You will not get time to invest in your business deals. In such cases, we emerge as the No 1 Rosemont Commercial contractor of the industry ready to offer high-quality Commercial General Contractor Rosemont services at affordable Commercial Contractor Cost. At Monster Contractor we pay special attention towards the requirement of the clients looking for quality Commercial General Contractor services Rosemont CA. Construction Management Services: Construction projects are very critical and difficult to manage. When you want to get it done alone you will end up making a mess. Managing labors, raw material stock, and work progress all alone is a tough job. But many like you are forced to opt for it for saving their money or to stay within fixed budget. Being a notable Commercial Contractor in Rosemont CA we are here to manage your construction project with affordable Commercial Contractor Cost in Rosemont. Green Building Constructions: Green building also popular as sustainable building or even green construction refers to the structure and the process which is actually environmentally friendly and also responsible for maintaining the environment safe in Rosemont California. Basically, it's an idea for building construction which will remain self-sufficient in it. We at Monster Contractor is having an efficient team of Commercial Contractor Rosemont. As a trusted Commercial Contractor Company in Rosemont, we have the potential to deliver projects under this head which are unique in every sense and quality wise best in the industry. We concentrate on establishing a perfect balance between building and our sustainable environment. We get the projects completed at an affordable Rosemont Commercial Contractor Cost. Apart from the above, there are many other Commercial contractor services Rosemont CA which we are offering to customers. Trusting in our Commercial Contractor services Rosemont CA will never disappoint you. Why trust Monster Contractor for Rosemont Commercial contractor services? We keep on giving regular training to our Commercial Contractor Rosemont CA to help them stay updated with the latest technology. We are having a dedicated 24x7 team of Commercial Contractor Rosemont CA to offer online assistance and answers to clients. We are a Rosemont Commercial contractor company which is customer-centric in its approach. Contact us: If you are looking for the Best Commercial Contractors Rosemont for your construction needs then feel free to connect with us. We promise to offer you high-quality Commercial contractor services Rosemont CA. We kept our Rosemont Commercial Contractor Cost budget friendly so that we can serve you better. To speak to our experts you can give a call to (916) 550-4381 or can also shoot us a mail to get a free quote for your construction assignment. Give us a call today as we are waiting to hear you and serve you better. Monster Commercial Contractor in Rosemont California provides construction management for nearly all commercial projects. Some of our commercial clients include restaurants, banks, offices, daycares, housing developers, religious structures, wineries, government facilities, prisons, and apartment complexes. When looking to renovate any large-scale office or warehouse in the greater Rosemont area, call us first. Our diversely experienced crews are capable of completing any project within a reasonable budget. Not all contractors can handle both residential as well as commercial. You can’t expect to hire just any contractor to renovate your business complex. Building codes change from year to year and from residential to commercial structures. While some contractors would love to work with you on your commercial construction project, few have the required experience or knowledge enough to follow that through to complete your project. Our contractors have worked in both residential and commercial construction for decades, building the complex relationships required with material supply vendors, employees and subcontractors to deliver the highest quality of service possible in the greater Rosemont area. We have built many long-standing relationships in the community with several builders, property managers, and business complex owners. Monster Contractor has established itself as the best in Rosemont through years of reinforcing those relationships and hard work. 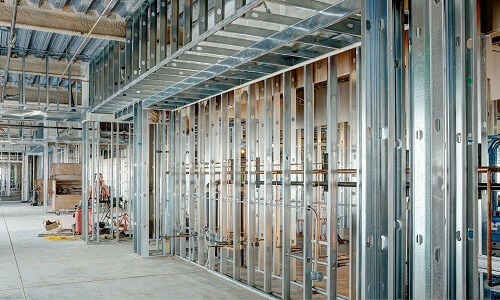 Construct commercial buildings by the best Commercial Construction Company in Rosemont CA Construct commercial buildings by the best Commercial Contractor Rosemont CA Are you thinking of opening a new business and looking for the best Rosemont Commercial Construction Company to help you construct a new office? Then get in touch with Monster Contractor, the best Commercial Construction Company in Rosemont CA. We at Monster Contractor provide our clients with the best Commercial General Contractor Rosemont services. We help our clients get quality Rosemont Commercial Construction services so that they can have their own commercial office that meets all their needs. So, get in contact with us, Monster Contractor, as we are the best Commercial construction services Rosemont CA Company. Introduction to Monster Contractors: the best Rosemont Commercial Construction Company One can earn a great number of profits from a commercial building. Construction of a commercial building takes a lot of time and money too. There are a lot of steps involved in the process of hiring commercial workers, and architects, keeping track of all the work that is going on etc. But all this will work out easily if you choose Monster Contractor, the best Rosemont Commercial Construction Company which provides the best Rosemont Commercial construction services. There are many Rosemont Commercial Construction companies which claim to be the best one but hardly give the best Commercial construction services Rosemont CA. All they want to do is get money from their clients. They do not even care much about the project, to what it means to you. Their main aim is to gain maximum profit and they do not even give satisfactory results and they charge high Rosemont Commercial construction Cost services. We Monster Contractors are the best full-service Commercial Construction Company in Rosemont CA. Our main objective is to focus on the requirements and needs of the clients and deliver those to them. We value customer satisfaction a lot. Due to our amazing services, we have an excellent reputation and we have strong relationships with all our clients. We are a company that you can rely on for constructing a commercial office or building and our Rosemont Commercial General Contractor Cost is also very reasonable. Having Monster Contractors as your Commercial Construction Company in Rosemont CA During the construction of a commercial building, a lot of things have to be kept in mind. One of the most important of those things is to keep in check and follow the guidelines of the city. Many Commercial General Contractor Rosemont companies overlook these rules so that they can maximize profit. This can lead to a huge loss for the client as later on, the government can seal the whole building for breaking the law. But we, being the best Commercial Construction Rosemont company, provide all our services following the rules and regulations set by the government. We, as the best Rosemont Commercial Construction Company even get in touch with the client and explain to him or her, the details of the project. The best architects in Rosemont even assist in designing the buildings and if the client does not want our architectural partners, then we also provide a construction manager to look into the developments. We, Monster Constructor provide the best Commercial Construction services Rosemont CA. We also hire the best sub-contractors and carpenters for our client's project as we are the best Rosemont Commercial Construction company and only provide the best Commercial General Contractor Rosemont services. We even finish the project within the given time and we have a very reasonable Rosemont Commercial Construction Cost. So, clients do not have to worry about anything. We are the best Rosemont Commercial Construction Company and thus have a lot of knowledge in this industry. So, we provide only the best Rosemont Commercial construction services. We at Monster Contractors, the best Commercial Construction Company in Rosemont CA, do not believe in shortcuts. We do our work with full integrity and dedication and thus have earned the name as the best Rosemont Commercial Construction company. 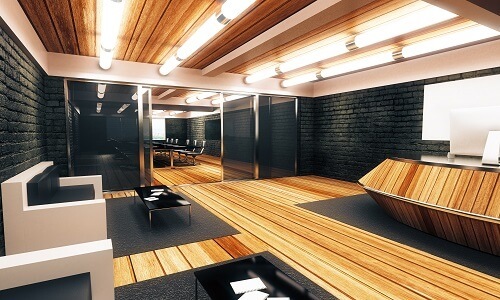 Call us and get the best Commercial General Contractor services Rosemont CA So, if you are thinking of constructing the best commercial building for your new business, get in touch with us the best Rosemont Commercial construction services at a very reasonable Rosemont Commercial construction Cost. So, get in touch with us or visit us and see our amazing Commercial Contractor Rosemont services for yourself. Monster Contractor is a full-service General Contractor and Construction Company located in Rosemont. We provide our industrial, commercial & residential clients with premier service and quality assistance throughout the greater Rosemont area. We work hard to provide what seems to have been lacking in recent years: a contractor who wants to provide quality service at a fair price. As a result, many of our clients call us back year after year. Monster Contractor of Rosemont is a fully licensed and insured construction company. Whether you need commercial, industrial or residential construction, we'll have our best journeymen on the project. We have over 50 years combined experience in the commercial construction and industrial construction industries. Our Property Maintenance experience, like electrical, plumbing, gutter cleaning, etc. will keep help your Rosemont facility running smoothly. Commercial Tenant Improvement in Rosemont is easy with us. Apartment building and property owners have trusted us for years to improve the lives of their tenants. From small projects to new builds, we have managed all types of Construction Management projects in and around Rosemont, California. Retirement homes, government offices and apartment buildings are just some of the Facility Maintenance services we offer. We work directly with YGRENE and HERO on Green Building Construction and can be your ally on energy-proofing your property in Rosemont. We have the best solutions for all aspects of home remodeling and Residential Construction in Rosemont. Are you doing a Rosemont Home Remodel? Room Addition? Kitchen Remodel? Whether it’s a bathroom remodel or complete or partial remodel, we can simplify your remodeling needs. Call Monsters Concrete for a complete estimate to repair foundations and other concrete products. We even have Home Maintenance and home cleaning solutions and can make ourselves available for the smallest detail. Earthquake Damage Restoration and retrofit as well as Fire Damage Restoration mitigation can be expensive if you’re not familiar with restoration in Rosemont. Insurance Restoration and working with insurance companies is difficult. Let our experience simplify the process. Storm Damage Restoration can happen at any time of year. We offer services for each season. Water Damage Restoration from leaks can destroy your home. Fast comprehensive repair from Monsters Roofing is the best solution.